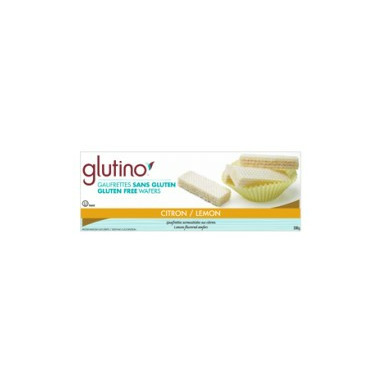 Glutino Gluten Free Lemon Wafers is filled with creamy sweetness with an audacious tang. These crispy delights will tickle your fancy and embrace your inner tart. Oh baby! Love these! Much like the onesin the store but gluten free! Iâ€™m addicted to these wafer cookies. There are so few products that are gluten free, dairy free and egg free. When I found these I was ecstatic! 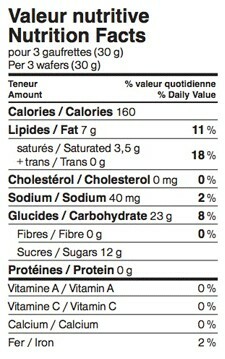 Gluten wafers have nothing on these gluten free lemon wafers! They are totally addictive! Was disappointed in these. Thought they'd be more crunchy, rather than chewy. The problem invariably with gluten free is that there's too much sugar added into the product as with these. I was surprised at how good these tasted, considering they're gluten free. I loved the lemon-y taste with just the right amount of sweetness. Love these wafers - and gluten free!! I will be ordering them again (for the third time). Love these wafers - so good, and gluten free as well!! I have just ordered more. A delicate, refreshing natural flavour. A delicious product... that is better tasting than a glutinous product. I have served these cookies to members of my family and they can't believe that they are gluten free. The taste is incredible, better than other lemon-flavored cookies I have bought. My husband is very picky when it comes to sweets but he would eat the whole box if I let him. I have just ordered 2 boxes so I can have them on hand when company comes. Love them! Light and lemony. A nice guilt free snack! These are light, crispy and have a delicious lemon taste, I serve them with tea when people come over. A nice treat that actually tastes good. I have to stop myself from eating the whole box!